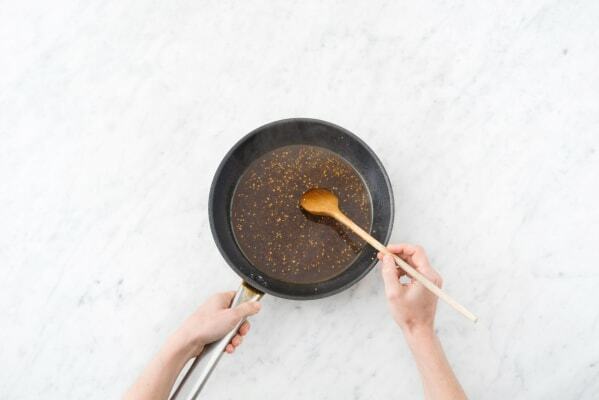 Vinegar, soy sauce, ginger, and honey combine for a ridiculously easy and incredibly flavorful sweet-and-sour glaze. It’s meant to coat the chicken, but we have a feeling you’ll be sneaking some on the rice and crispy snap peas as well. Cook the rice: Bring 1 cup water and a pinch of salt to a boil in a small pot. Once boiling, add the rice. Cover and reduce to a low simmer for 15-20 minutes, until tender. Wash and dry all produce. Cut the lime into wedges. 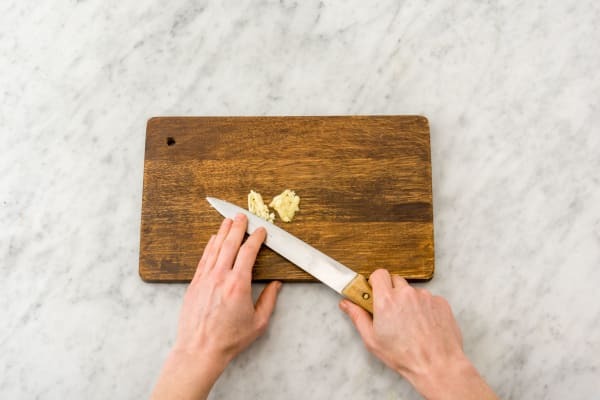 Peel the ginger, then mince enough to make 2 Tablespoons. Mince or grate the garlic. 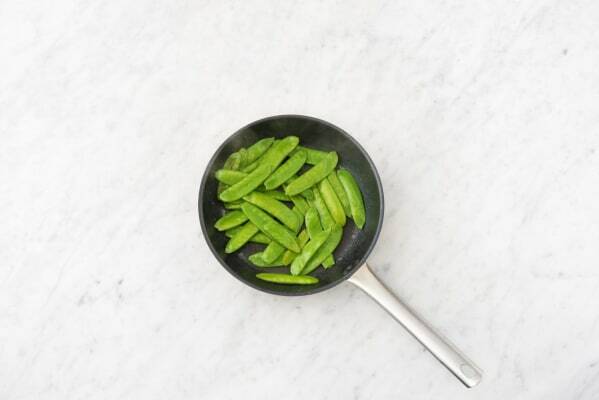 Trim the ends of the snap peas. 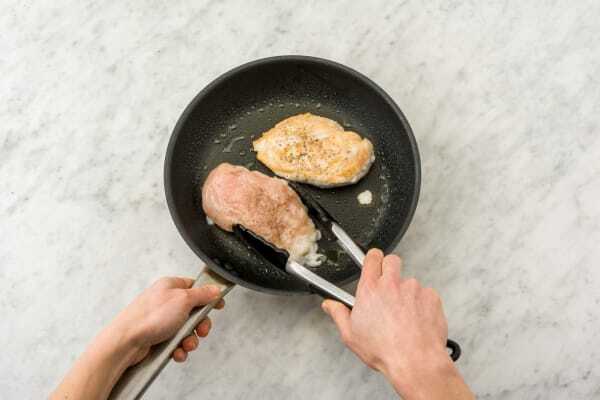 Season the chicken breasts on all sides with salt and pepper. Heat a drizzle of oil in a large pan over medium-high heat. Add the chicken. Cook 4-5 minutes per side, until browned and cooked through. Remove from the pan and set aside. Wipe out any black bits from the pan. Heat a drizzle of oil in the same pan over medium heat. Add 2 Tablespoons ginger and the garlic. Cook, tossing, for 2-3 minutes, until soft and fragrant. Add 1½ Tablespoons white wine vinegar (we sent more), and let it reduce until the vinegar is nearly evaporated. Add the chicken stock concentrate, honey, 1 Tablespoon soy sauce, and 2 Tablespoons water. Reduce to a low simmer. Cook until thickened to a glaze-like consistency, 2-3 minutes. Remove pan from heat. Return the chicken to the pan, and turn to thoroughly coat in the glaze. Heat a drizzle of oil in a medium pan over medium heat. Add the snap peas. Cook, tossing, for 3-4 minutes, until crisp-tender. Season with salt and pepper. 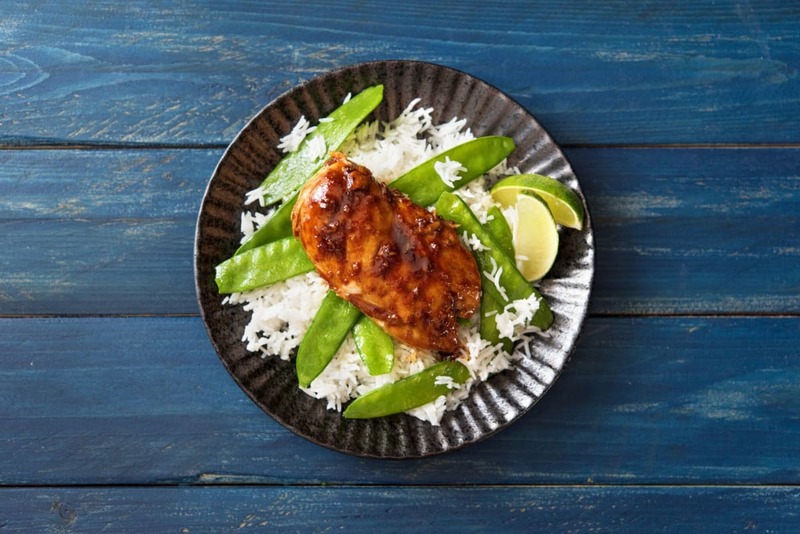 Plate: Serve the honey-and-ginger-glazed chicken and snap peas on a bed of jasmine rice with lime wedges for squeezing. Enjoy!